Our Personalized Lollipop Invitations are a unique way to invite your guests to your party! Your swirl lollipops will come finished off in matching curling ribbon or satin bow. 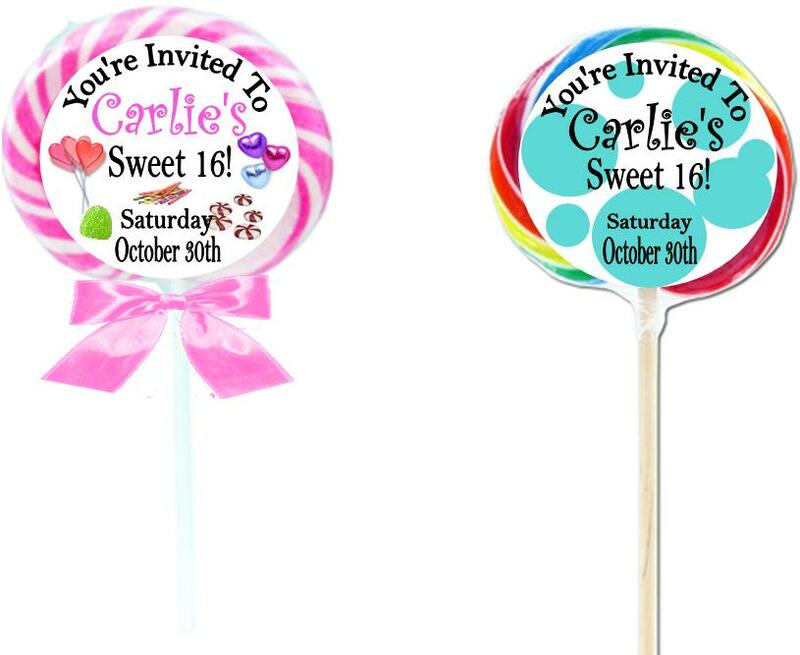 Affordable, fun and trendy...our Sweet 16 lollipop invitations will be a big hit! You can choose any lollipop label design, or we can customize a lollipop invitation for you free of charge! Your lollipop invitation will include a front and back label.